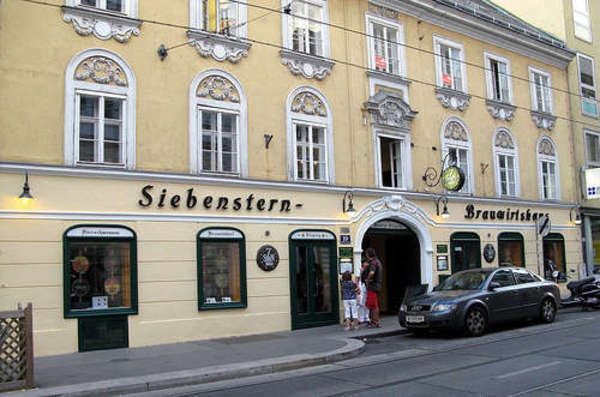 Siebensternbrau is a micro-brewery and great restaurant on Siebensterngasse near Kirchengasse. The Helles is fantastic and the Wiener Schnitzel is as good as any I have had in Wien. The prices are also great. It is a Lokal, not a tourist trap and the staff and customers know each other.